Once again, gun sales have spiked after a mass shooting event and the left is renewing calls for gun legislation. AR-15’s are flying off the shelves as several U.S. politicians are preparing gun control bills to go to Congress and the Senate. 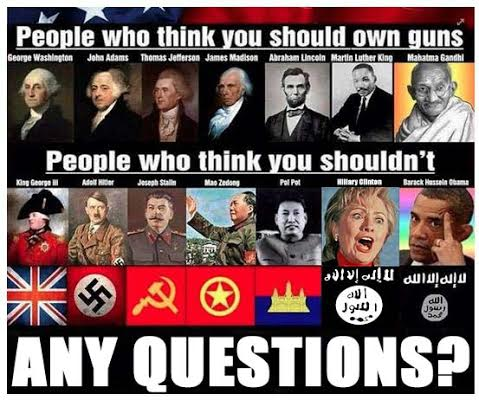 Meanwhile the media is parroting the government, claiming that we need to ban semi-automatic firearms because an AR-15 was used at Sandy Hook, Aurora Colorado and San Bernardino. Now Orlando-we weep again. What reason now to oppose gun safety measures? Is the answer to our gun violence epidemic to do nothing-again? Eric Holder’s previous boss President Obama also called for renewing talks on gun control in response to the attack at pulse in Orlando, Florida. Even the 2016 presidential candidates decided to weigh in about gun control. Democratic nominee Hillary Clinton didn’t even blink in saying that people on the no-fly list should not be able to purchase guns. Her rival Bernie Sanders demanded on twitter an outright ban on “assault rifles” which he said were designed to kill people and military weapons. Presidential Republican nominee Donald Trump even for the first time expressed his stance that people on the terror watch list should be barred from buying firearms. A policy that is controversial and against the NRA and GOP’s values being pro-gun. Trump is scheduled to meet with the NRA, where he will likely be told what his position should be. Then we had the gun control filibuster lead by Democrats and Sen. Chris Murphy that called for enacting a law that would ban suspected terrorists from purchasing guns. More than 40 different elected officials joined in to support. Should enough supporters back the law, what will define an individual as a terrorist and put them on the watch-list? This watch-list in the past has included tea party members, militia members and anyone who supports the constitution. The Deparment of Justice even decided to poke its ugly head in, saying it overrules the FBI on gun sales debate, and that the no-fly list can be used to ban a person from purchasing firearms. 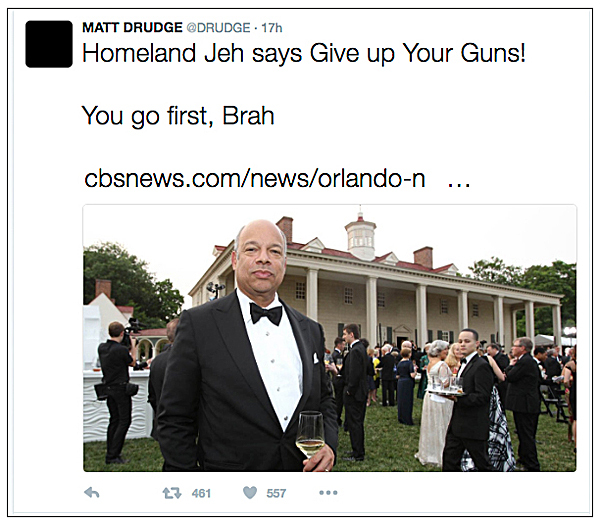 Jeh Johnson, the director of homeland security, also spoke up, claiming that gun control was now a matter of homeland security, tragically irony since shooter Omar Mateen worked for DHS under the G4S security firm transporting illegal immigrants throughout the U.S. So its no wonder with all these politicians and agencies talking about gun control that Americans are mass stocking up on guns with all these talks of new gun legislation and out right banning automatic weapons. The community most affected in the recent Pulse shooting tragedy — gays and lesbians — are buying guns, and why shouldn’t they? A gun can be used as an aggressive weapon or a defensive weapon for personal protection. It’s all about the users intention and who decides to pull the trigger. In light of that gun owners are now taking their time to offer gays and lesbians shooting lessons for free including safety procedures on how to properly holster a weapon. Western California is also being taken over by posters, support groups and flags for the LGBT community resembling the famous “Don’t tread on me” flag. So this event done by an individual in the name of ISIS has actually brought Americans closer together.